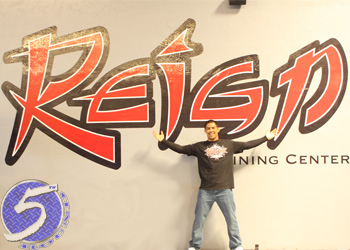 On March 13th, 2010, UFC middleweight Mark Munoz launched Reign Training Center in Lake Forrest, California. While it typically takes years to establish a reputable mixed martial arts facility, Munoz’s gym has already made quite a name for itself in merely 12 months. Many factors contribute to a team’s success; the quality of coaches, cutting-edge techniques, state-of-the-art equipment, etc. While RTC offers all that, and much more, Munoz has also formulated a talented squad to represent his brand. Reign celebrates their one-year anniversary tomorrow (Saturday, March 26th) and are inviting their fans to share in the successes of their first year. Starting at 12PM local time, join Munoz, Urijah Faber, Joseph Benavidez, Jason “Mayhem” Miller, Jake Ellenberger, Fabricio Werdum and many other stars for a fun night of activities. The festivities are FREE, outside of the Celebrity Poker Tournament and food. Please click HERE for additional information. 12PM-3PM: Autograph Signings, Demos, Raffles and Giveaways.